MY TIMES TODAY. 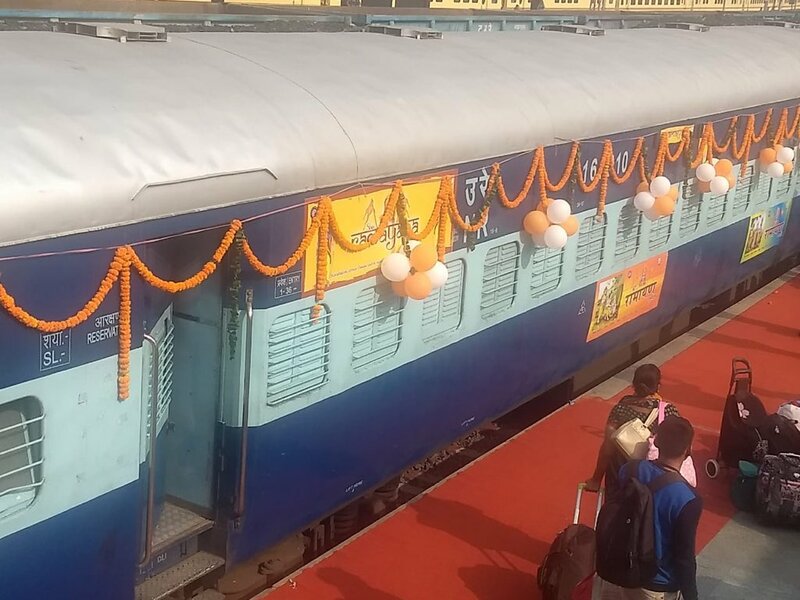 The Ramayana Express has launched today. This train will have a collective package of 16 days in which all the important places connected with Lord Rama will be undertaken in India. This special train, named after Lord Rama, is traveling to the places associated with Ram in India and Sri Lanka. This train will cover Ayodhya, Nandigram, Sitamarhi, Janakpur, Varanasi, Prayag, Sherangpur, Chitrakoot, Nasik, Hampi and Rameswaram. This train is being booked through IRCTC. There are 800 passengers on the train. In order to facilitate the people, the IRCTC has kept the rent of the package at Rs.15,120 per passenger, in addition to rent, including the cost of lodging, eating and walking in Dharamsala. In addition to this, passengers who want to go to Sri Lanka will be charged Rs 36,970.